At Huber & Associates, we are copper roof replacement & restoration experts. Contact us today for a quote. Copper roofing is a staple of elegant homes, luxury hotels, government offices and other high-end buildings, but few roofers are qualified to perform repairs and restoration services to the high standards these properties demand. Our team has worked on National Historic Landmarks and properties on the National Register of Historic Places as well as private homes and businesses around the world. Keep reading to learn more about our full range of copper roofing services or call our offices directly at (828) 275-7678 for assistance. Long-lasting: Copper is highly durable. When properly installed, a copper roof can last for fifty years or more — far longer than conventional asphalt or wooden shingles. As a metal, it is naturally resistant to fire, mold, mildew and hailstorms, among other forces that can cause damage or premature wear to a building. 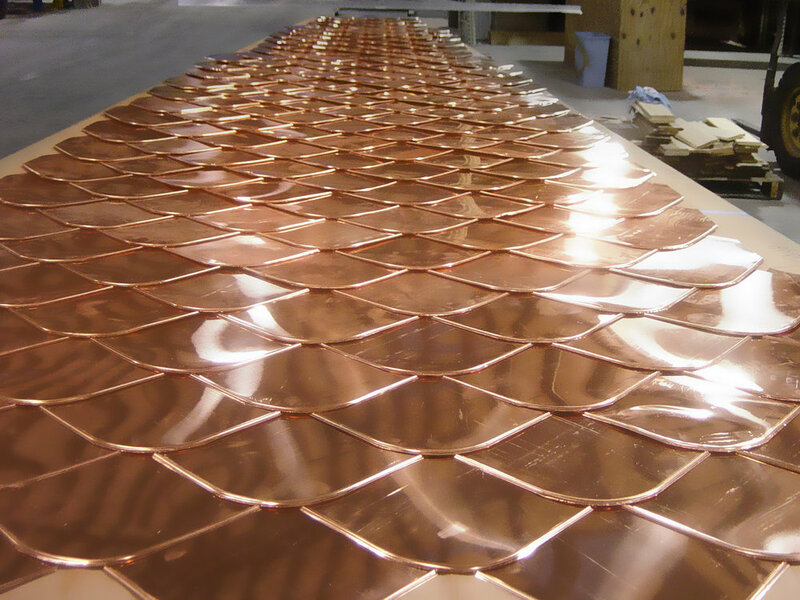 Lightweight: Copper’s long-lasting durability doesn’t come at the expense of excessive weight. As a result, it can be installed in nearly any property, often on top of an existing roof. This keeps costs down while speeding up the installation process, without requiring excessive modifications to a building’s structure. Energy-efficient: Like other ornamental metals, copper reflects the light of the sun, which helps reduce thermal heating in your home and consequently keeps indoor temperatures more stable year-round. Choosing copper means lower utility bills, less wear on expensive HVAC equipment and improved home comfort. 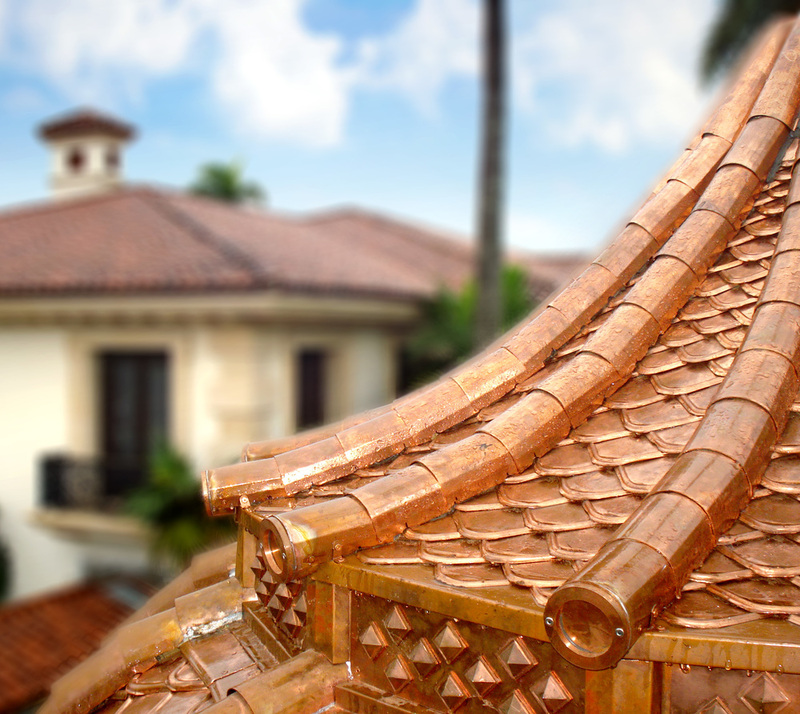 The above features all contribute to the exceptional value of copper roofing — particularly on a high-end property. Though copper roofing costs more than asphalt and other alternatives, it lasts longer, increases curb appeal and can help keep your month-to-month costs down. It’s no surprise that copper is the material of choice for some of the world’s most famous and elegant buildings. QUESTIONS ABOUT OUR Copper ROOFING SERVICES? Copper roof restoration is a highly specialized skill that takes extensive training and experience to do right. 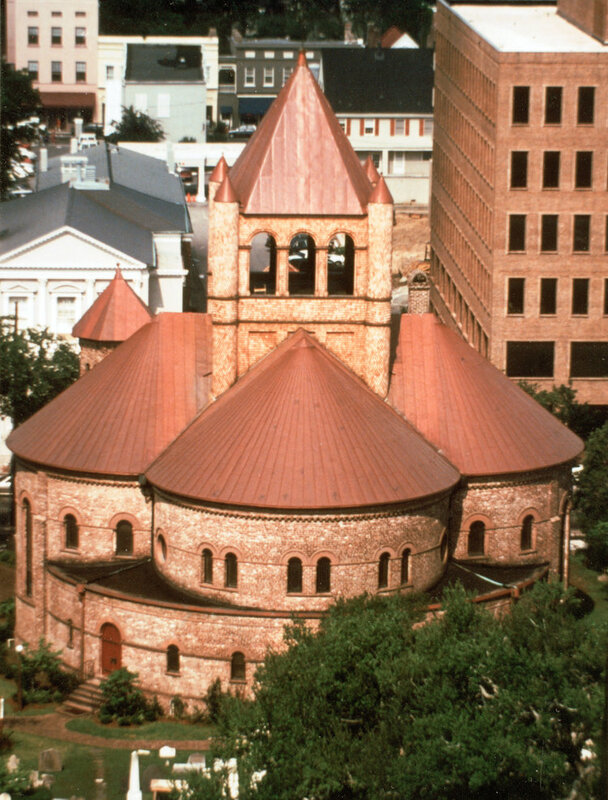 The copper roofs on older buildings may feature unique designs and flourishes that make them impossible to replace with a ready-made product. Often, it’s necessary to rebuild individual components from scratch. That's exactly what Huber & Associates did on the Biltmore Estate, the largest private residence in America and a National Historic Landmark. We were contracted to rebuild a portion of the main mansion's copper roof ridge. To do so, we handcrafted more than 900 individual parts using 63 unique molds and 38 turnings. The result was a repair that captured the Châteauesque spirit of the original down to the smallest nuance. Our work on the Biltmore Estate's copper roof won us a Griffin Award from the Preservation Society of Asheville and Buncombe County — just one example of the praise our team has earned over the years. To read detailed case studies about copper roof restorations and other projects we've completed in the past, be sure to check out our blog. If you're looking for a partner for a copper roof repair or historical restoration, or if you're considering adding an ornamental copper roof to your property, contact Huber & Associates first. Our small team of roofing experts is among the best trained and most skilled in the country. We are available to take on jobs of any size and we do so with respect for your time, your money and your property. We provide detailed and accurate estimates before beginning every job and outline a repair plan that shows exactly how the work will progress. Through transparent communication and proper planning, we ensure there are no unpleasant surprises at any time. 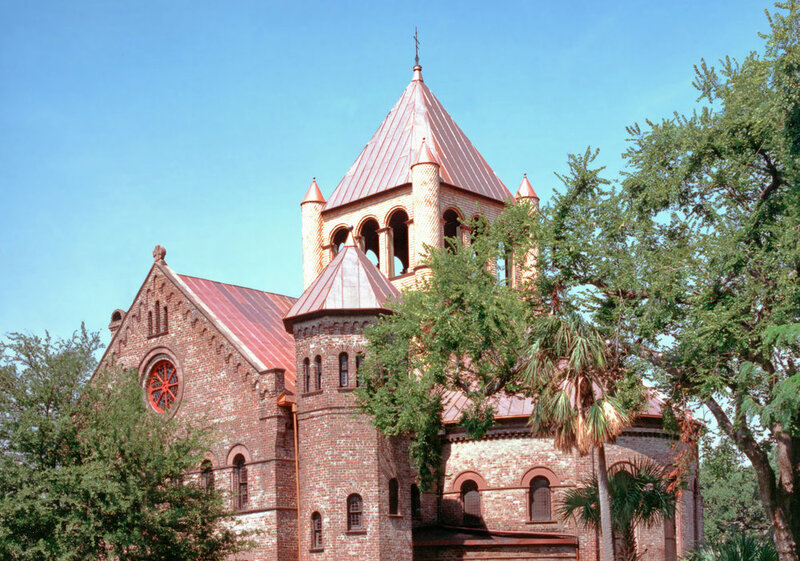 With offices in Florida and North Carolina, we are well-positioned to provide copper roof repair and restoration services throughout the Southeast and beyond. Every job begins with an in-depth consultation. To request a meeting at your convenience, contact our team directly by phone or email today.